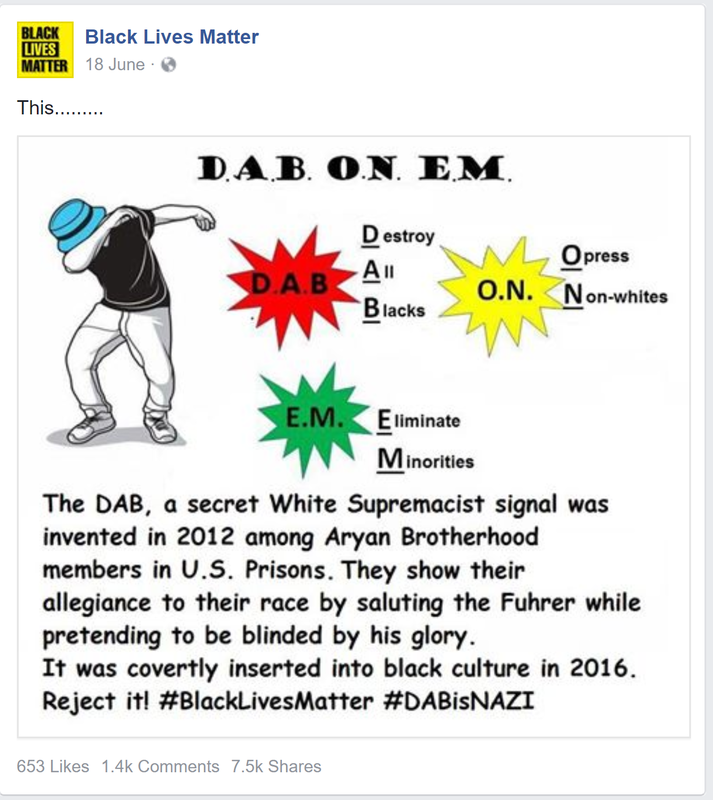 There's a Black Lives Matter page on Facebook with 695,000 followers. I'll refer to it as BlackLivesMatter1, because the URL is www.facebook.com/blacklivesmatter1. 695,000 people is a big following. 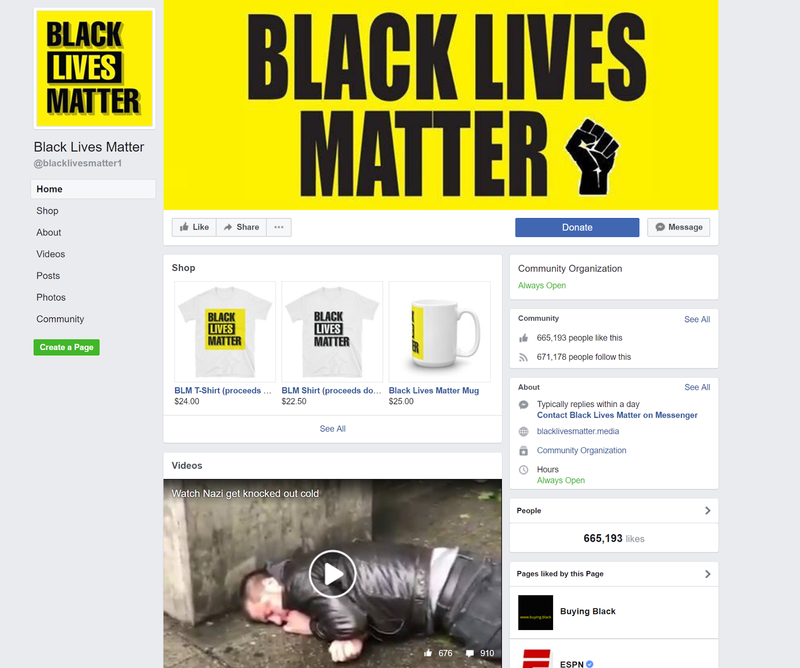 By comparison, the verified "Black Lives Matter" Facebook page has a bit over 300,000 followers. BlackLivesMatter1 has also shared headlines from partisan right-wing sites like TruthFeedNews.com and USAForToday.com. On the surface, this doesn't make sense. It's like whoever runs BlackLivesMatter1 doesn't pay attention to the details of what they post. Another strange feature is that, whenever BlackLivesMatter1 posts a headline, the outbound link doesn't go to the actual news source. Instead the link goes to an aggregation site, www.blacklivesmatter.media, which has a layout similar to Reddit. A pop-up immediately asks you to subscribe to a newsletter (see below). After closing the pop-up, you have to scroll past two rows of AdChoices, then click the headline again to finally view the story. My understanding is that blacklivesmatter.media and the BlackLivesMatter1 Facebook page are controlled by the same people. The domain blacklivesmatter.media was registered by an Australian man named Ian Mackay on October 15, 2016, using the e-mail address blacklivesmatter1@hotmail.com. I sent Ian an e-mail back in September inquiring about BlackLivesMatter1, but it wasn't until this past Monday that I finally reached him on the phone. We had a brief, static-filled conversation. Later, Ian e-mailed me and explained that, while he was the original owner of blacklivesmatter.media, he was "not the only person" associated with the site. He therefore wanted to run any questions I had by some other people first. In addition to soliciting donations, BlackLivesMatter1 makes money by selling items through its online shop. The Facebook page is strewn with commerce links for t-shirts, hoodies, and baseball caps. These orders are processed through MyBigCommerce (which is similar to Shopify), and many of the listings have a parenthetical message: "Proceeds donated to expose racism." There's also a Patreon page for BlackLivesMatter1 (set up in September), with four patrons. I wound up sending Ian Mackay 10 questions, many of which focused on financial matters: I asked if it's true BlackLivesMatter1 faces a legal attack from the right-wing media. 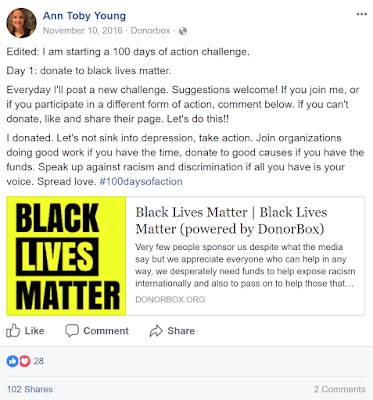 I asked how much money BlackLivesMatter1 has raised through its Donorbox pages. I asked for an estimate of how much money BlackLivesMatter1 has made through the combination of AdSense, MyBigCommerce, and Patreon. And I asked how much money BlackLivesMatter1 has spent boosting stories on Facebook. I also lobbed some softballs, like "Do you consider yourself to be part of the Black Lives Matter movement?" and "What ethnicity are you?" Several things happened after I sent the e-mail. The BlackLivesMatter1 Facebook page removed its "Donate" button. The About page on Facebook was edited, and a couple external links to blacklivesmatter.media and blacklivesmattergifts.com were deleted. Most of the DonorBox pages disappeared. The previous 8 months' worth of newsletters sent by BlackLivesMatter1 were erased from the email campaign archive. 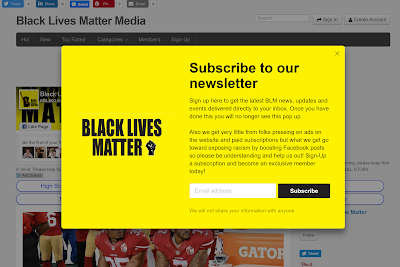 And the "Donate" button was removed from the blacklivesmatter.media homepage. I'll go out on a limb here and say those things wouldn't have happened if BlackLivesMatter1 were a legitimate group. As I told you I a m the original owner but there are others associated with it now as I buy and sell a lot of domain names as a hobby. I passed your details and questions on to who I think has it now, hopefully they can help you. I took a look at your website www.manicnews.com<http://www.manicnews.com> and I do not want my personal or any other of my details published on your website or anywhere else online or otherwise for that matter by you or anyone else, I'd like to make that clear. Please let me know if there is anything further. I never received an e-mail from the "others," and a follow-up exchange with Ian yielded no new information. 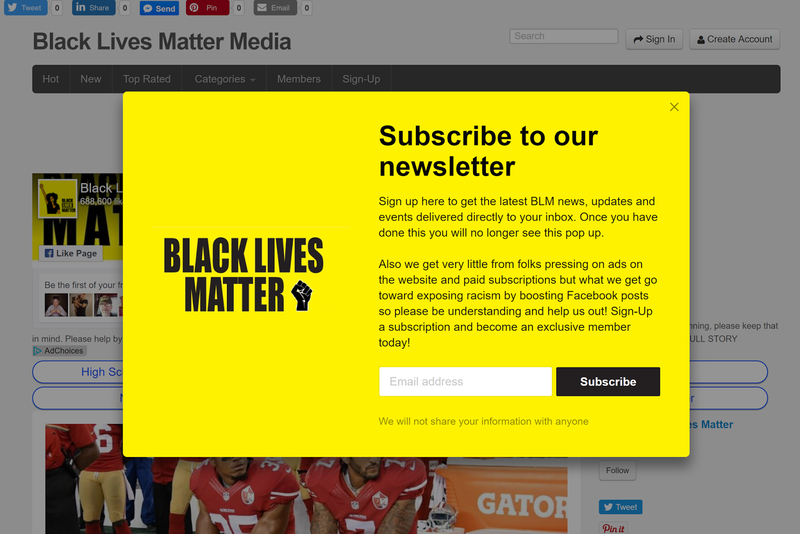 My hunch is that whoever currently runs BlackLivesMatter1 is trying to make some money off the back of the Black Lives Matter movement. Still, I'm surprised the page has flown under the media's radar when you consider the current political climate. A few months ago, CNN reported that Russian trolls were posing as Black Lives Matter activists on Facebook and Twitter. 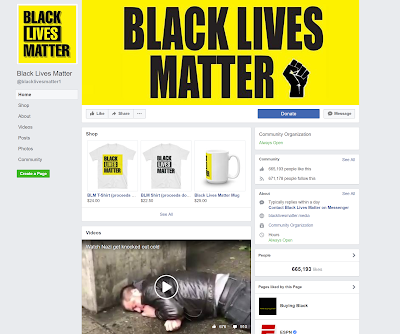 One of the trolls' Facebook pages, Blacktivists, had 360,000 likes. which was considered a very big number by CNN's Dylan Byers. I expected, in light of that report, that more people would start paying attention to who runs the popular activist pages on Facebook. People exploiting the dumb masses? What a shocker! Who could've seen this coming! ?